This is a big race for our FCA Endurance team. The race director gave us a great discount so we made this the main event of the season. We'll see lot's of our TeamMates! Robin drops me off so I can ride a few miles to the lake to warm up. My seat is a little low but I can’t adjust it. It’s stuck. This is my last long distance race tune-up for Vineman. Even though I'm not feeling rested or fast, I will need to push it. The run is my main concern as I haven't gone over 8 miles in 7 weeks. I set up transition, run a mile easy to warm-up, and stretch. Robin & Karen Nickel arrive. They’re doing a relay together. Jessica Bonner is getting ready. Tana is racing tomorrow. Tana is he legendary Energizer Bunny and Jessica looks to be following in her footsteps, excelling at each distance she tries. This is her first ½ Ironman, she’ll do great. 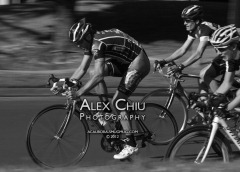 I’m also glad to be racing with FCA Endurance Teammate, Les Wong, and the others racing tomorrow. Race announcer Nick Tuttle is always happy to announce the FCA Pre-race Prayer. Wow, this is a great way to start a race. Even though I sometimes wonder if it will be as meaningful as the time before, I’m always surprised. Immediately after the announcement, a military Chaplain named Bob comes up to tell me he’s glad to see FCA here and that he was a big part of it in school. Another thing that’s exciting is when we circle up to pray near the start area, with about 10 people, it often grows to 20 people by the time we’re done praying. I can understand this. When I was starting in triathlons, and found myself far from home, moments before a big event, I'd feel small again, humbled, aware of my dependence on God for His assurance and in somehow serving Him. If I saw a group praying, it was a reminder, as well as an example that it's ok to bow your head and talk to God. Even if I couldn't hear them, I would stand close and pray by myself. As we finish, I feel ready. The smiles and calmness on the faces around me indicate we are all ready and assured we will have something to be proud of as we race. After a few goodbyes and a kiss from Robin, I swim out to the start. The water is perfect. Warm and clean. Uvas is a big improvement over Almaden Lake, which is closed, and the reason we're here. Plus I'm in a new (used, but looks new) Aquaman Tri-Blitz wetsuit from Patty at www.wetsuitrentals.com. It's warmer, faster and has a top-down zipper which, after watching a video, I was able do myself. Go! It's a smaller wave. After 5 min I'm not getting passed as much as usual. I like my position. I find myself bumping into a guy on my right. We all have a tendency to veer to one side and he must veer left. Side-by-side we bump all the way to the buoy. Around the buoy I pull ahead. I'm feeling buoyant and comfortable. At the backside I start bumping into a guy on my left. It's the same guy. This is strange that now he's veering to the right. It gives me reason to push and finally I'm a little ahead. The last buoy comes sooner than expected which is a relief. Now it's a straight shot to the boat ramp. 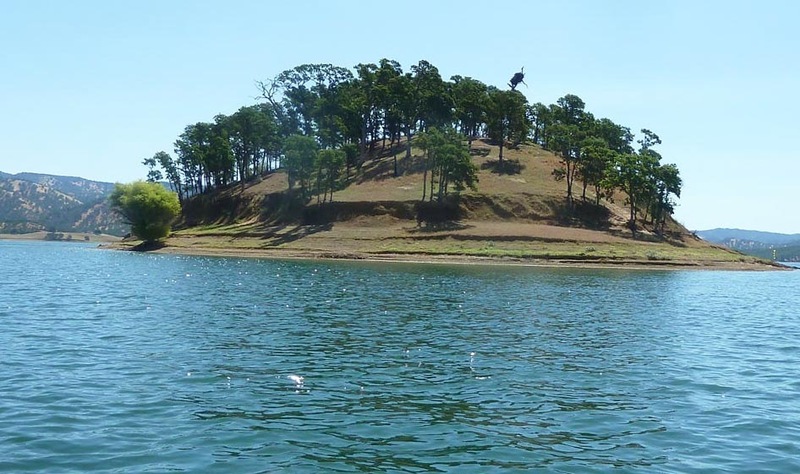 I'm recalling my Berryessa swim. When guys start to pass for the push home, I pick it up and am able to hold them off. I stumble out, manage the bottom-up zip exit and enjoy the ease at which the suit come off. 32:04. 4th place! Wow, I'm never near the front like that. Up to the bike now.. It's a little chilly. Overcast skies. I gladly put on my FCA Endurance bike jacket. This has been a lifesaver for me. I love it. I even see race announcer, Nick, giving his approval, "That's going to help, you don't want to be chilled". Off on the bike I immediately start trying to find the "groove". My seat has been "sore" for weeks and cyclists know how uncomfortable it is to sit on a pain like that. If I can just find the right position.. that allows fast cadence and power on the hills.. I'm managing, pedaling through the rolling hills of South Almaden. 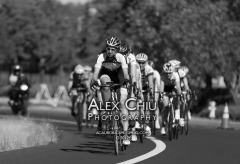 A peloton of weekend riders go by and we pass back 'n forth a couple times. They're careful to keep out of the way. I think back to the many training rides with my old training partners, Clint, and the gang, through these hills.. usually drafting off of Clint. Over Baily and down Santa Teresa. This is the best part. Tail wind. Flat. Fast. Just when you're tired of straight, the course meanders through the pretty countryside again. And back out to Santa Teresa. Same as last year, right when I'm feeling pretty fast, the lead girl goes by. It's Kathleen Caulkins, a friend of Robin's. "Good Job Kathleen!" A guy is with her. A few more guys pass me. I'm doing the best I can but just don't feel the groove or the power. Can never give up. Just keep trying. We head back North, through the reservoirs and rolling hills, which help to block the head wind. It's neat to see the T1 area, now empty of bikes, as we race by. My plan is to push the last 10mi. Just 30min. I want to get 20mph ave. Go! I finally find a position that's working. I push all the way to the finish, get my 20mph ave, and am relieved to finally get off. 3rd. 2:41. My bike shoe pops off as I dismount but a volunteer brings it to my rack and tells me "you're going to fly by those guys like you've got wings on". I thought about that a few times later. I start on the run with a pretty small stride length. Just getting the feel of it and wondering how this 13mi run is going to go. I see Robin at the FCA tent. And then the smile of Laura Schuster cheering me on. Great having support to start the toughest part of the race with. Mile 1 7:55. Heading South on the scenic exercise path I watch the runners ahead coming back. There's Kathleen. Mile 2 7:01. I wonder where the turn is. We turn at about 2.5mi which is sooner than expected. Mile 3 6:43. I'm happy to see my pace dropping below 7min/mi. I'm feeling pretty good. The advantage of an uncomfortable bike can be having legs saved for the run. A 40yr old "Hammer" guy in in my age group passes and makes it stick. Something tells me I can run like him so I make it a goal to catch him by the end. Mile 4 6:42. We come back though the main park and head North to the perk ponds. Mile 5 6:34. I see all the leaders and Kathleen coming back again. The next turn-around comes, again, sooner than expected. Mile 6 6:39. We turn-around again and head back out towards the perk ponds. I pick it up and am gaining on him. 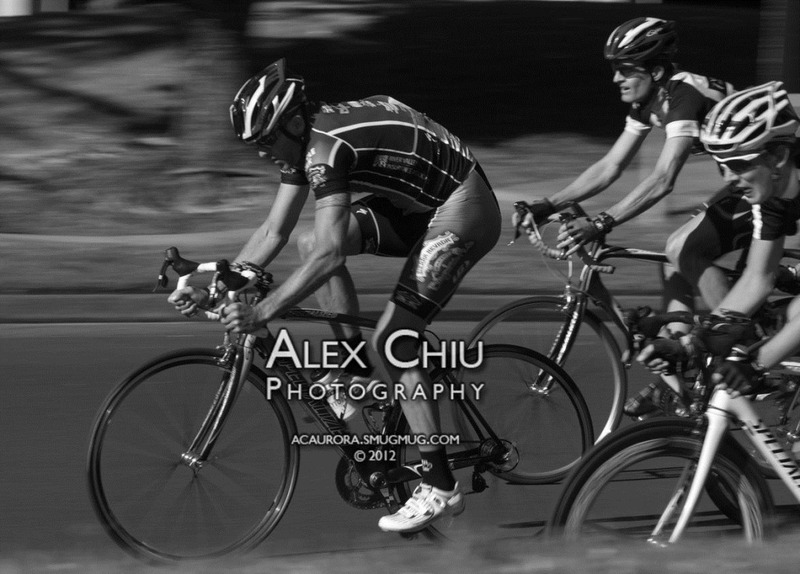 At the next turn-around I catch him and run side-by-side. We both ask each other where the rest of the course goes. Will it be short like last year's 9mi course? Mile 7 6:19 We continue side-by-side. I'm getting water at every aid station and eating gels. We're entering the main park again. If we're going to end soon, I've got to make a move now because I can see he's a better sprinter. I start my surge. He reacts and matches my pace. I'm a few steps ahead. Mile 8 6:14. That was a hard mile. I'm coming up on the bridge over to the finish line. I see Laura and she yells, "On the home stretch!" But I wonder if I really am. This is why you're supposed to study the course beforehand. Right before the finish line, they send us out on another loop. The good news is that I've got a good gap on the Hammer guy. The bad news is that I used up a lot of energy. Ok, just gotta get to the final turn and then I can turn it on again for real. Mile 9 6:26. I never look back. Thank you Lord for helping me feel good on this run despite how I felt coming into this race. Mile 10 6:46. I'm nearing the final turn, going a little slower but trying to be steady. I make the turn and see the Hammer guy 50yds back. I think I can hold him off. Mile 11 6:35. I pick it up. The legs are hurting a little but I really feel good otherwise. I know it will be a strong finish. Mile 12 6:19 This is it. When I cross the bridge for the finish I take my first look back and see a gap. Now just sprint in for the finish. Thank you, Lord! 3rd pl. 1:22 run split. 4:38:46 total. Go Jessica, Karen, Les & Marilyn!! Go Alicia, Alyssa, Steve & Timothy! The whole family drives to the TT start. I somehow failed to register Troy for the Omnium and I am trying not to worry about him getting in. Just last night in Bible Study we were studying Matthew 6: "Can any one of you by worrying add a single hour to your life?…do not worry about tomorrow, for tomorrow will worry about itself. Each day has enough trouble of it's own." It's hard to resist the flesh and have faith instead. Either way, today God's will will be done and it will be good. I drop off Troy at registration and park the car. To my delight he gets in with no problem. Thank you Lord! Troy goes first and I'll go next, 15min after he finishes. Once Troy heads out I try to bike around the undeveloped neighborhood. I should've brought the trainer so I could be next to the girls. Warming up on the road doesn't work when I need to stay nearby the car. Lord, I will be content and do what I can. It's certainly hot out here and the wind is picking up. I stretch and wait to see Troy heading back on the levy trial. He comes back and reports that a water bottle is necessary even for a 11 mile ride. He grabs me a bottle and off I go. I'm the first in my wave of Women 4's. With a 30sec gap between each rider, I hope not to get passed. Ready, set, go! 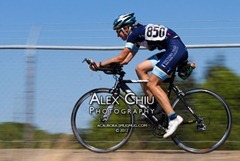 I take off from a foot down position (last year, they held the bike for us). Immediately I feel flat but hunker down in my aerobars and try to push. I am confident that I'll ride faster than last year when I was spooked by a girl that had crashed into a protruding fence on the course. Within the first few minutes I'm already getting passed by the 2nd girl. Ouch! I try not to get dejected and continue to push. The miles go by soooo slowly! It's hard to stay motivated until I notice the girl ahead of me is coming back! By the turn-around, I am so close. It looks like breaking last year's time of 29:12 is going to be close. How is that possible? Aren't I in better shape too? I drive harder and catch the girl. As I pass I say "good job" and she says "darn, you all with aerobars!" I hadn't even noticed before that she didn't have any. I know she's just expressing frustration and not anger at me. I cannot wait to finish! I'm pooped and ready to put my tired legs out of misery! The time is counting down and by the time I see Troy and the girls just before the finish I'm already over my goal. I smile anyway and thank God for another opportunity to race. I cross the line and I am done! Phew! Now, it's time for the Circuit Race on Sunday! 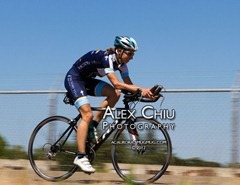 This is my 2nd time doing this Cyclebration race… and the closest I’ll ever get to doing a Criterium. I’m nervous about the close quarters as last year 3 girls crashed into the guard rail right behind me. My strategy is survival. I know that I must not ride in fear so I’ll be going to the Lord a lot! Our friend and Victory Velo teammate, Todd Allington, brought his wonderful teenage daughter Hannah to babysit our girls. After we get them settled with her, we warm-up together on the nearby bike paths to stay out of the way of the junior racers. There was quite a lot of wind last night so we are weaving to avoid the twigs on the ground. We head back to the start for some last minute preparations and head to the start. Troy’s group, Elite 5s, is taking off right ahead of my group, Women’s 4. The head referee tells his group that this is not a race but just a chance to get mass start experience. What?! What are we all here for if it’s not to race?! As Troy’s group takes off and we pull up to the start, I hang off to the back-left of the pack. Ready, set, go. We start out pretty leisurely but within the first 2 minutes a girl sprints off to the front and the group immediately responds. 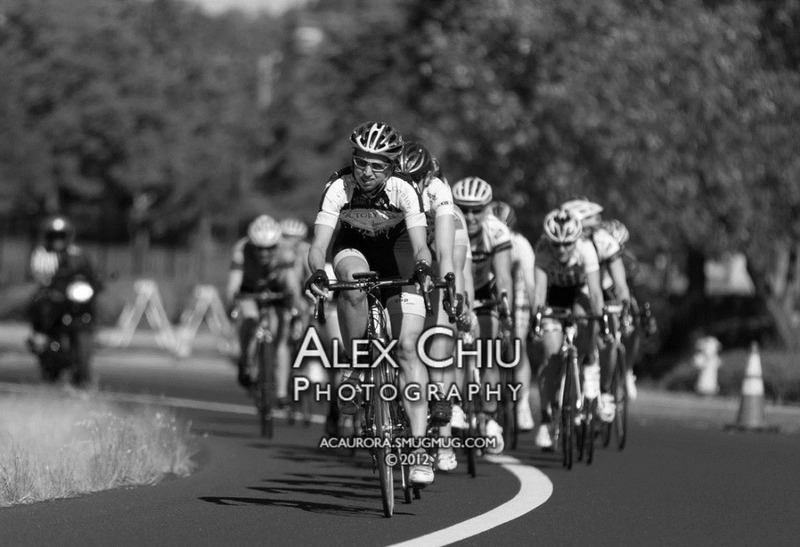 I am able to stay with the group and fairly close to the other riders but I know I should be closer drafting. The first lap ends with little drama even with the tight turns and round-about. On the second lap I pull up to the front behind a few girls. The same racer sprints ahead and we take off after her. We catch her quickly and I find myself leading the backside of the course. I purposely try not to exert too much energy and hold a conservative pace. Soon, I am passed and swallowed up by the group. Lord, thank you for keeping me upright! Please keep us all safe! Coming through the start line again we have 4 laps to go. I decide to go out front on the start of the 3rd lap to make the others think I like to lead and then I fade so that I might seem like no threat. I lead up to the 2nd turn and get passed by a few going into the round-about. The pace the pack is holding doesn’t show a sense of urgency which makes me wonder if the men are going to catch-up with us. Sure enough on the start of the 4th lap, we hear that the men are catching up. I’m hanging back the 4th loop and trying practice getting into the draft. Right before we head into the round-about, a motorcycle comes in front of us to make us “neutral” or to hold up our race. We are coasting and waiting for them to pass. It’s not until we are in the round-about that the men pass. This is unsafe! Lord, keep us all in one piece. The women are shouting to each other to move over and the men are yelling at us to do the same. It’s all so chaotic! Phew, they finally pass and we can resume our race! We come through the finish line and now it’s 2 laps to go since we were passed. I move to the front again at the start and lead the girls up the hill to the first turn. I again allow myself to be swallowed up into the group. I hope my plan pays off. Lord, I just want to finish in one piece! One more lap! You can sense the tension rising and I get nervous about getting knocked down. After the first turn, I take the lead and push the pace. I’m totally risking getting killed the last 1K by doing this but I feel like it’s worth it to stay in one piece. I lead all the way through the round-about and the following 2 tight turns. I push hard going to the last turn and suddenly a girl goes by. By the time I make the last turn, I’m at the back of the pack. Oh no! I dig down as much as I can but it does little to move me up. I manage to pass one girl back as we cross the line. Wow, that was tough! Thank you Lord for Your protection! I have a lot more to learn and a lot more confidence to build! I’m so glad I’m done! 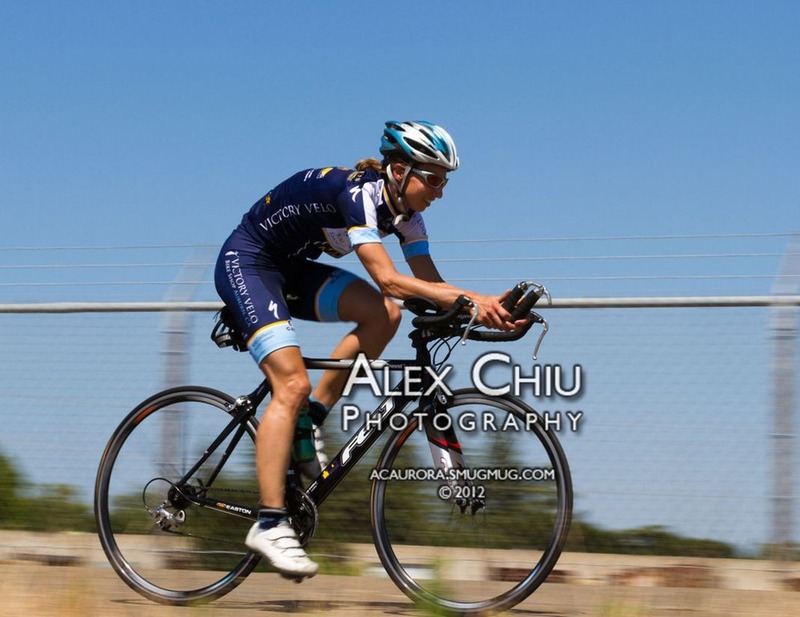 We show up Friday afternoon in Rancho Cordova for Stage 1, the South Canal TT. It's hot. Anna's riding her bike. I'm helping Ariel ride hers. My start is coming up but I want to raise my seat. This turns into a big event. Robin & another guy are helping me. By the time I'm finished, it's almost go time. I rush to the starting area, get checked in, a timing strip on my helmet and roll to the start line. "You missed your start. Go!" I'm off. I don't know if missing my start counts against me. Oh well, I'll know my time, and I've got my goal: get 25mph (25:41). I've done this course before in 24.8. It doesn't seem that hard, it's only 10.7mi. But soon reality sets in… going all out for 26 min is going to be very hard! I'm already getting hot and thirsty. I don't have water. I figured I wouldn't need it. I'll have to push through. I'm motivated. I'm working hard and feel like I'm going fast. I see the guy ahead at 30 secs (maybe more). Wind is behind me. Averaging 26… 27.. It's completely flat except for 3 overpasses. We hit 'em early on. These are killers for my pace. They seem small but really take an effort. 1/2 way to the turn-around and the wind is changing. It's getting harder. The guy ahead is no closer. My triathlon training should help me in this event. At the turn-around I make a clean turn and start the push for home. My #1 guy ahead has passed #2 ahead. And now I'm about to pass #2 as well. I pass and he jumps into my draft and stays there. I'm pretty sure that's not allowed. I continue pushing hard to catch my #1 guy. I'm breathing hard, my lungs are burning. I'm praying that God will help keep me safe and from doing any harm to myself. I should've carried water. I'll be sure to warn Robin. I'm pushing as hard as I can and as much as I want to sprint, there just isn't anything left in the legs. My lungs are burning. I'm focused on God. It hurts. , I want to ease up, but I'll give it my best… finally… I'm done! 24.5mph (26:15). Wow, that's tough. Slower then before. But maybe it was the wind. Thanks God for keeping me together. I continue riding to catch my breath, if I stop I'll surely overheat. I get back to Robin, give her the warning, and she grabs a bottle heads to the start. I hope she does well. The girls and I make our way over to a viewing area and get to see her race out and then back. She looks fast. Checking results I was surprised to find I was close to last. I would be expected to have an advantage riding in the aero position since it's what I do most of the year. But these cyclists are good all-around I realize. It's humbling, and that's a good thing in itself. Before we leave we get to see our friends, Lance & Todd finish their efforts. They're also gassed and hot, but their speeds are amazing. 27mph! Wow, we're very impressed. Later, the results change and I was 9th (of 24). That was with my 0:50 late starting.. I may have been closer to 3rd if I'd been on time. That's a lesson in being prepared before the race. Saturday. I get a good 7mi warm-up. Robin and the girls are at Anna's swim meet. Last year I tried an aggressive strategy to keep the pace moving, and ended up about 30% back at the finish. This time I'll try a relaxed approach and try to set up for a sprint at the end. It's a full field. We're going clockwise (opposite from last year). It's a 30min race.. it was supposed to be 40. That will work against me a little. Go! The pace is ok. A couple guys string it out periodically. First I'm near the back and each lap move a little forward. I'm noticing I'm not as comfortable as I felt last year. I try to keep focused on the wheels around me. I ask the Lord for safety. There's so much out of your control. If someone goes down ahead of me, there's not that can be done. 1/2 way through I develop a plan to take the last corner on the inside and try to sprint alongside the pack at the end. There's a crash to my left. 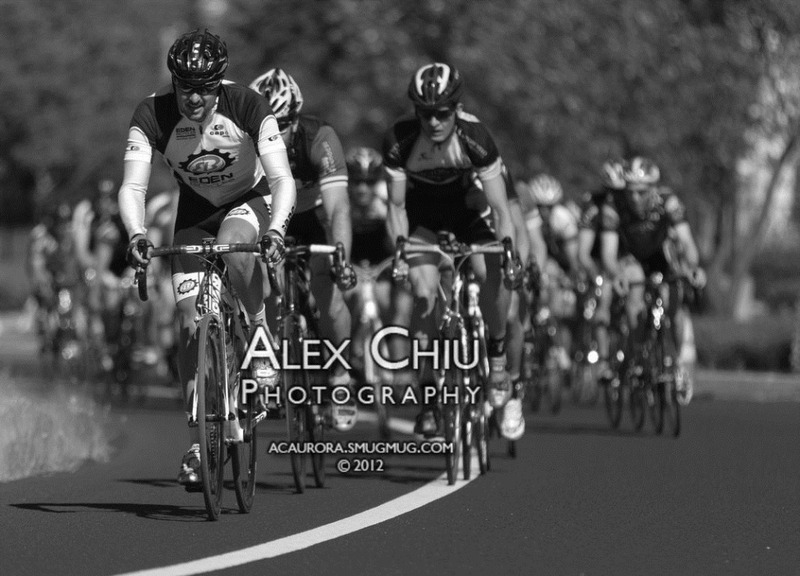 With 2-to-go I find myself at the front of the pack. I have a good vantage point now for getting into position as the others pass back to the front. 1-to-go and I'm trying to get in my position on the right (inside corner). Most of the group is moving up on the left (outside). I'm sliding farther and farther back. I'm so focused on the inside corner that once I get there, most of the pack is already ahead on the outside. To make it worse, I have to slow in the corner a little and coming out am shifting gears. Now it's go! go! go! I dig deep knowing each person I pass is a point. But I can see most of the group is already ahead. I give it all I have and come across in 26th (out of 47). I'm glad to be safe. I thank the Lord. I'm disappointed in my strategy and plan to try the opposite (outside) tomorrow. Sunday. Robin, the girls, and I are all here. Todd Allington's daughter, Hannah, is babysitting them as Robin & I race. Robin's event is right behind my group. After our warm-up we line up. Our friends, Lance, Todd, and Kevin are here cheering us on. My group starts and I try to sit back in the pack. 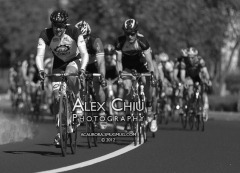 Last year I did some work near the front trying to help with Lance, Kevin and Todd's game plan. But this time I only have 1 Victory Velo teammate, Rich, and unfortunately we didn't get together to plan anything beforehand. He had a good placing yesterday so I know he's a good rider. After a couple loops (2.5mi per loop) I find a good place to move up is the turn onto Blue Ravine on the way to the Round-about. This is also where Robin's group had a crash last year. Each loop I make a move here just to get back into the top 10 position. I slip back during the rest of the loop. With 2-to-go I'm in good position but we catch up to Robin's Women's-4 group and have to neutralize as we pass. I kind of lose position going into the final lap but I work hard to get back up. Through the round-about, down the expressway, I start moving to the outside. It's working. I'm swinging wide as guys are picking it up. Then I shoot around the corner and there's plenty of room to work with, putting me in the top 5 going into the final sprint. I immediately jump up and sprint but see guys in my peripheral vision passing on both sides. 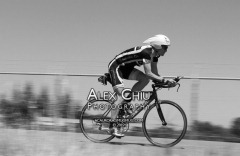 In my fatigue and all-out effort to sprint, I don't try to get on any wheel, but just to gut it out on my own. 300m is a long way! Unfortunately, even though I started exactly where I wanted to be, I finish, again, closer to the back. 22nd (out of 39). It's exhilarating, scary and tiring at the same time. I'm so thankful that Robin & I both finished safely without falls. It's humbling for both of us to work hard and end up closer to the back but it's good to be humbled and our hat's are off to the cyclists' training regiment - there's so much strategy and practice. It's very impressive to see them explode out of the last turn and finish at high speed. Good experiences for us. Good weekend of racing. Thanks, God. I was actually 20th (out of 65) in the Omnium, which is the combined 3 Stage race. 13 pts for the TT, and 1 pt each for the road racing. Not too bad. I drive to Berryessa alone this year. The family supporting Anna at her swim meet. Robin’s sending me updates. I arrive to a beautiful scene. Berryessa Lake is shining, calm and warm. Families & swim teams, including all ages are camped out and excited about swimming. I get an update that Anna is doing the butterfly for her relay team. I’m so proud because the butterfly is such a difficult stroke for me. My prayer for today is that the trip and event can be for God’s purpose. That would make it worthwhile. Otherwise it could seem wasteful, spending 7 hrs just to swim for 1 hr. It’s already been fun driving here. Taking the nicely-banked corners of Suisan Valley Rd and Hwy 121 in my Impreza was enjoyable. Now I’m registering and am asked about our 3_strands@sbcglobal email address. I explain that it’s from the Bible, that 3 strands of a rope are not easily broken; and that the strands are Husband, Wife, and God. They comment that I’m going to need all the help for the 2mi. I happily acknowledge that although I don’t have my wife, I do have God with me. I have 25 min to go for a run. I see another guy with the same idea so I take off after him. It takes a while to catch up. I find out he’s looking for a trail he was told about. We meander around and finally find it..Stipple Creek Trail. It heads North, winding along the lake. It’s great, but after a mile I have to head back. He’s not doing the swim so continues on. Maybe some day Robin & I can explore it more. I stretch and, very carefully, put on my friend, Todd Allington’s, wetsuit. Mine ripped recently. Into the water, I warm up over to the starting area. The 2mi non-wetsuit swimmers are taking off in 5min waves. I’m used to the wetsuit group being pretty small so not surprised to only see a few of us in the water. I casually swim into the starting corral, just to be called out by the announcer. Oh, there’s an official entry point with a line of swimmers. Everyone has timing chips. Uh oh, I didn’t get one. I run across the campground to registration, get my chip, strap it on, and run back, hurting my feet on rocks in the process. Whew, 1min to spare. My heart rate calms down, I pray and then… 5, 4, 3, 2, 1..
Go! This will be my longest swim in years. The beginnings always feel great. I latch onto some feet going by. Too fast. I latch onto a woman’s feet to my left. This is good. A little faster than I could maintain on my own. It’s a straight shot to the yellow balloons of the first turn. Then we go around 2 islands, then straight back. I accidentally hit the woman’s feet about ½ way to the first turn and she veers far left. Is that a tactic to keep me from drafting? It works as I don’t want to swim off course that much. I continue straight and at the turn we actually both arrive at the same time. Behind the island I’m starting to feel good again. Getting my groove. Stroke is strong. Water is clean. This isn’t so bad. The woman passes me. She’s swimming straight and strong. I jump into her draft. She’s pulling us through some of the non-wetsuit swimmers ahead of us. I glad to be meeting my goal of getting better at drafting. I start kicking harder… and then get a calf cramp! I never got that before. The cramp forces me to swim slower, using less of my left leg. The woman pulls far ahead. I have to let her go. I continue on. My temperature is perfect in this wetsuit. We go behind the 2nd island and make the final turn. Now it’s a straight shot home. 45min. I’m on a good pace. If I pick it up I might be able to match my previous time of 52. I start to kick harder again… calf cramp in the right leg! Ok, I have to focus on my arms and do the best I can. I’m watching my time under water, 51, 52, 53.. Getting close to the finish. I see the ground coming up from below. At the ramp I stand to hurry up through the finish.. sharp rocks.. ow.. I stagger across in 54. Whew, I’m glad to be done. That was a good swim that I’m happy with. Just need to prevent calf cramps. I pack up and head out, reflecting on the day. I’m thankful that God answered my prayer, that today was worthwhile. I got to talk about God, had a fun run, a great swim, and just felt God’s blessings. And Robin’s emails of Anna’s successes today add to the enjoyment. Thanks, Lord, for being with me wherever I go.